experience of actually flipping through the pages of the virtual book. Panning Cards - Present a set of pictures as panning cards to make the presentation interesting and appealing! Car Driving - Build a real-world journey experience in 3D form for a car driving experience. Museum - Design a walk through the museum and explore pictures in each room of the museum. Climb the Peak - design a real-life peak climbing experience. 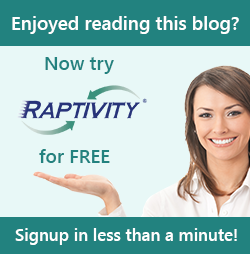 Try out Free trial of Raptivity!